When was the last time you went to the dentist? Did your doc comment on your teeth? Mines usually doesn't say much unless there's a problem, but I'm always a bit self-conscious about how yellow my teeth are. I don't smoke, but I do drink lots of tea and it's done a number on my pearly (off-)whites. I've tried whitening strips and toothpastes in the past and none of them have made a noticeable difference on my smile. 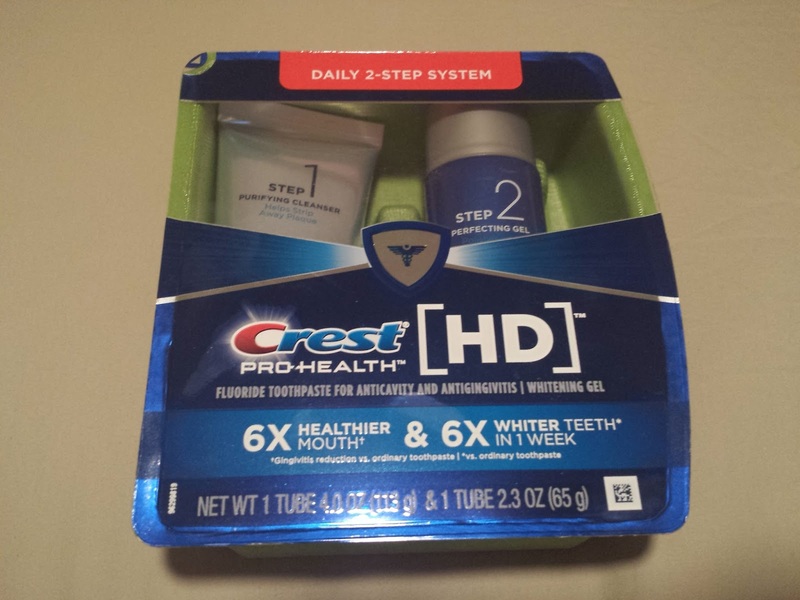 Then BzzAgent reached out to me with a brand new teeth cleaning and whitening toothpaste called Crest Pro-Health HD Daily Two-Step system. I grew up with Crest so of course I was game. But first, BzzWho are they? BzzAgent is a company that uses utilizes social media to spread the word about up and coming products. Companies who want feedback on their new products reach out to BzzAgent, which in turn passes on those products (for free!) to you and me to test and review in the form of a BzzCampaign. You complete each BzzCampaign by fulfilling social media requirements via Facebook, Instagram, etc to raise your BzzScore. The higher your score, the greater your chances of qualifying for more missions. 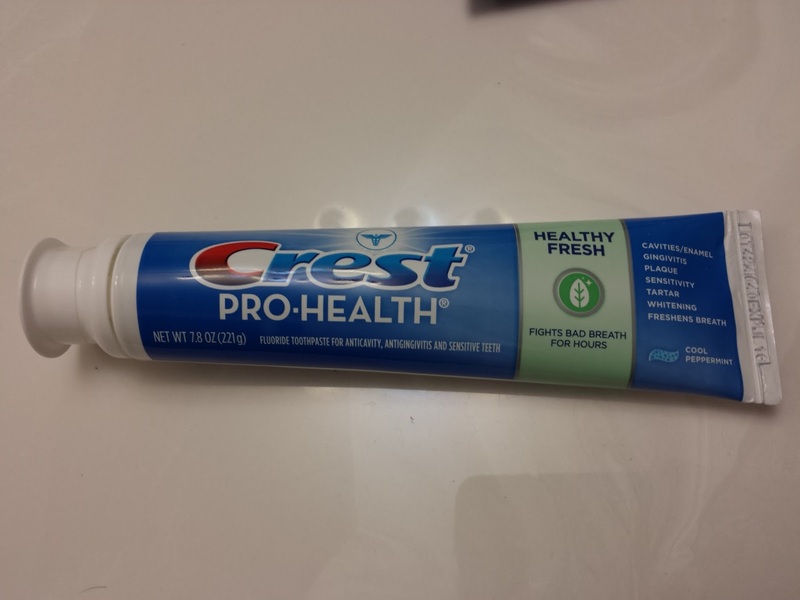 I was already using Crest Pro Health toothpaste before this mission. Already got one foot in the door! BUT! Just because a tangerine is a fruit doesn't make it the same as an orange so you bet I wanted to try this baby out. When I first caught a glimpse of the product itself, I'm not gonna lie, I was a bit overwhelmed. Growing up I've always been the lazy one in the house. 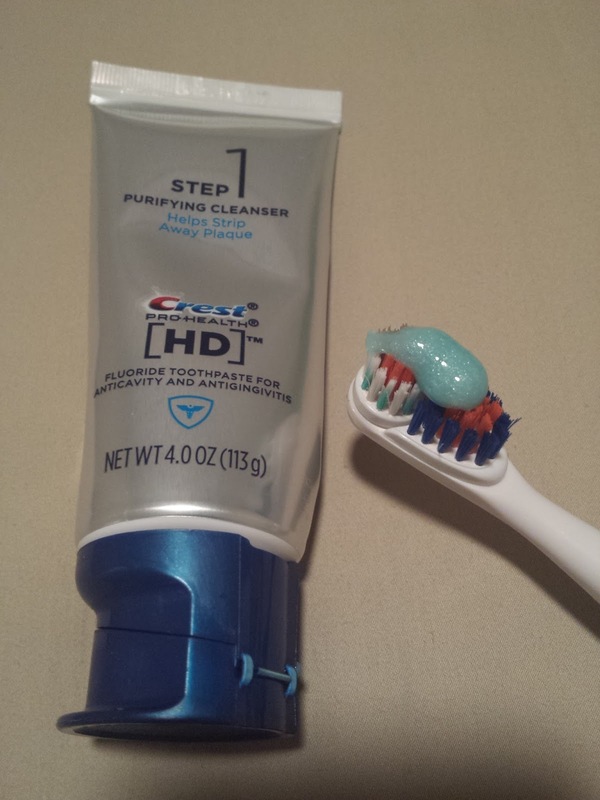 It was hard enough remembering to brush my teeth twice a day, and now I have to use TWO tubes each time?! *grumble grumble* Sloth status fo sho. But I hate my yellowed teeth more than a little extra work so I gave it a go. Crest claims that your mouth will be 6x healthier and your teeth will be 6x whiter in one week. I wanted to test that second claim sooo badly. 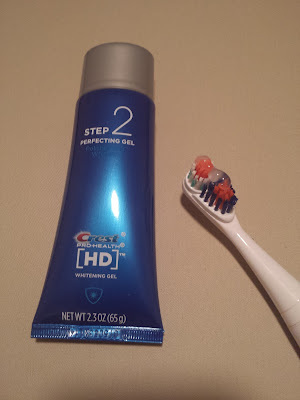 I think this might be the first 2-step toothpaste system from Crest. It's definitely a first for me. Step 1 is a toothpaste that deep cleans teeth and strips away plaque with stannous fluoride. You brush for one minute then spit but don't wash. From this point on I wasn't able to keep the toothpaste from dripping out of my mouth (ooh so graphic!) so be sure you stay over a sink throughout Step 2. 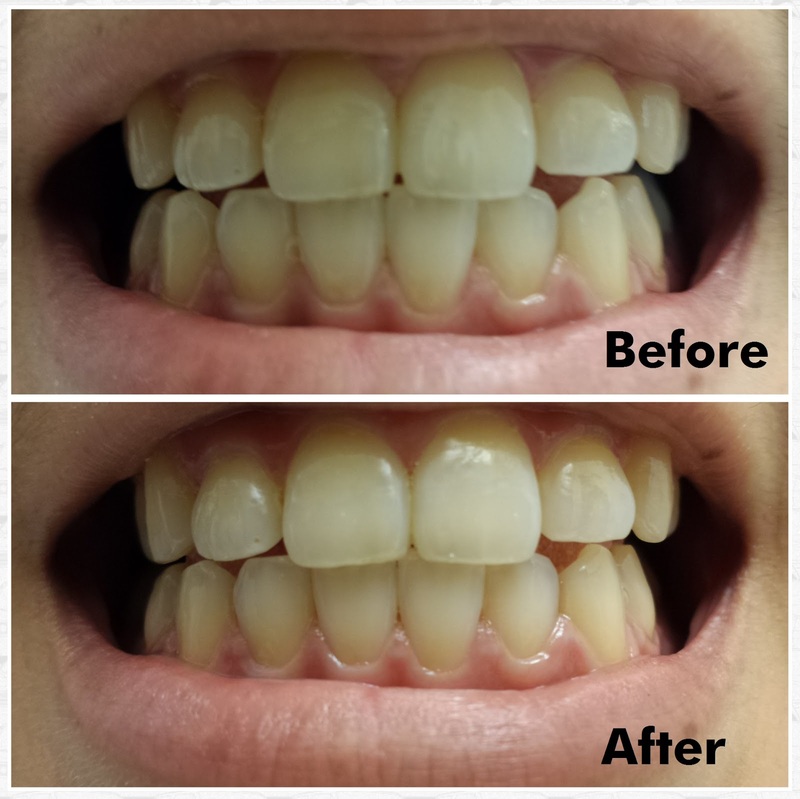 Step 2 is a clear gel that whitens and polishes teeth with the help of hydrogen peroxide and silica. It tastes a bit more...bitter?..than regular toothpaste and I'm still getting used to the taste after almost a month. You brush with this for another minute before spitting and rinsing. The whole process itself wasn't as life-changing as I expected. I didn't waste a significant portion of the day cleaning my teeth. And no, I didn't have to miss a whole episode of Big Bang Theory just so I could brush my teeth. I tell you, I don't know where I get these bogus irrational ideas from. For the sake of reviews, I sucked it up and snapped a before/after pic of my mouth to share with you. Excuse the uneven teeth; I haven't worn my retainers since I took off my braces 18 years ago. Boy, if my orthodontist could see me now...yikes. I don't know about you, but I can sort of see a teeny tiny subtle difference after one week of using the Crest Pro-Health HD system. Of course it could be lighting or just wishful thinking. You can see that the toothpaste didn't remove all of the plaque build-up near the gums (not that I want everybody examining the photo of my mouth or anything), but I didn't expect it to anyway. Nothing can compare to a professional dental cleaning. I've been using this toothpaste for a month now and since I see my teeth everyday I can't tell if they're any whiter. I really wish I continued taking pictures every week for comparison. It's still a bit yellow by the gums but I really don't think that's going anywhere anytime soon. So my overall opinion? 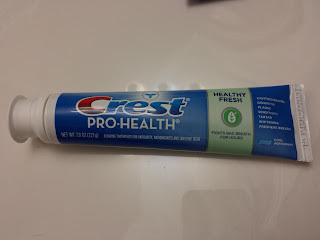 Sure, I recommend giving Crest Pro-Health HD a shot. It isolates the cleaning vs polishing steps so that you can get one done before starting the other. You wouldn't simultaneously wash and style your hair, would you? If you're wondering why not just buy whitestrips?, my answer is that it's a matter of personal preference. Don't quote me on this, but I feel like Pro-Health HD will give you a "natural" effect whereas whitestrips give a BAM! in yo face bright white effect. Think of it as soft lighting vs cool lighting. They both look great, but it's a matter of what effect you're going for. Note: I received the Crest Pro Health HD Daily Two-Step toothpaste system complimentary from BzzAgent for testing purposes. All opinions expressed in this post are my own.